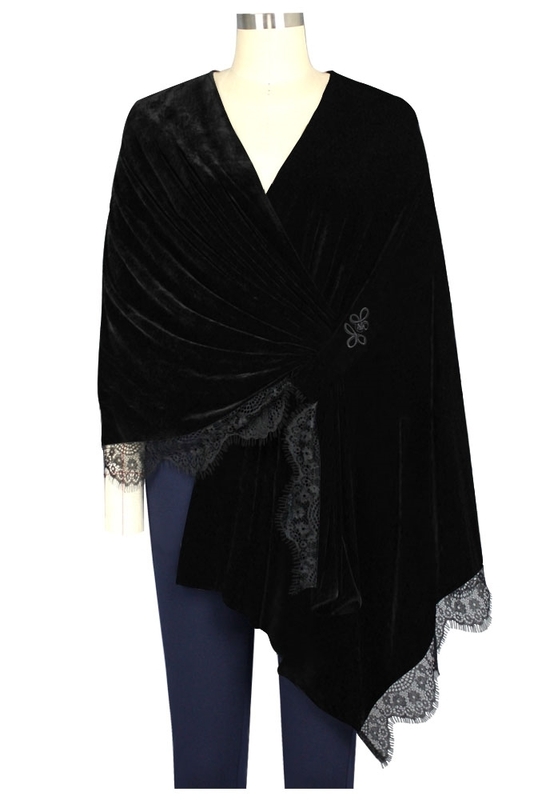 This lace with velvet stole features a scalloped lace hem. There is a frog clasp that attaches the strap of lace to the under side. Standard size approx. length: 24 inches; Plus size approx. length: 27 inches.